This sofware is currently in alpha. Hadaly is an interactive presentation software. It allows to manipulate slides in various ways during presentation. 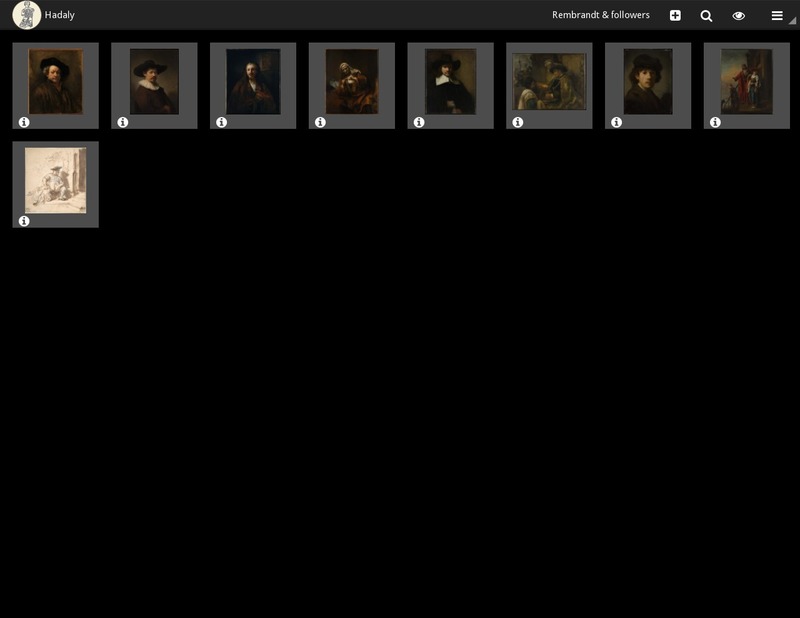 The goal is to offer a practical presentation software for art historians or any art enthusiasts. It contains an editor, viewer and a search engine. The editor allows you to build presentations by creating slides which are a combination of an image and informations (e.g: artist, title and year). The viewer allows you to show and manipulate the slides. The search engine allows you create slides from different online sources. Presentations are saved as *.opah files which contains all the slides image files and their metadata (JSON).